In order to improve services to its customers, Citilink, subsidiary of PT Garuda Indonesia for Low Cost Carrier, has launched ‘Citilink Self Check-In’ in Soekarno-Hatta Airport yesterday (24/7). Citilink Self Check-In is using a machine that shape like ATM machine.Citilink has been being the first to launch this Self Check-In service in Indonesia. Passengers without baggage can check-in by themselves and have the boarding passes without queuing at check-in counter, with these simple steps: entering Booking Code and Last Name, then it will show the passenger’s name and trip destination, continue with clicking “Boarding” button. Besides Soekarno-Hatta Airport at Jakarta, Citilink Self Check-In will also be available in five other airports in the following cities: Surabaya, Medan, Makassar, Balikpapan, and Denpasar. 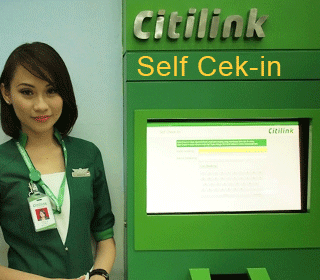 Citilink Self Check-In is supported by Jatis, as the Technology Partner that built the engine to integrate it with Citilink’s reservation system.